Guy Ritchie and the studio are trying to wrap up a months-long search that has included names (Riz Ahmed, Dev Patel) and complete unknowns from around the world to play the street hustler turned prince. Around 2,000 actors and actresses have read for the lead roles of Jasmine and Aladdin. I didn't know I was older than Dev Patel. I think him or Riz would be great, but maybe they are too hold for the role? I haven't seen Power Rangers so I can't say anything about Naomi Scott and I'm not familiar with Tara Sutaria either, but she looks really young. Any of the developers I work with. I think Jake would make a terrific Aladdin and Princess Jasmine should be played by... Matt Damon. His ponytail was fantastic in The Great Wall. Don't screw this up Disney! This was my favorite original! 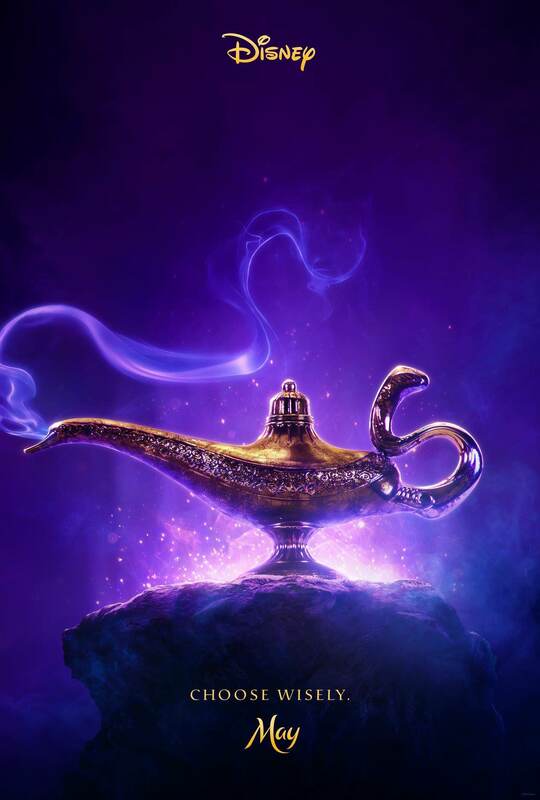 'Aladdin': Disney Remake Finds Its Leads. Mena Massoud to play Aladdin. Naomi Scott to play Jasmine. Watching the cartoon today and made me look up the love action movie. I thought for some reason Mr Robot was playing Aladdin, but it isn't. Also, Will Smith is the Genie?! Oh...that was said in the original post. Saw this during the football game last night. Looks pretty cool! Marketing for movies is confusing. I would consider this a teaser, not a trailer. Yeah good point, it shows almost nothing. Yes it does. But it will make all the money. 63% is my guess for critic score.